You know spring is really here when you see the tulips and other cool weather bulbs pushing out their leaves and bursting into color. It’s no wonder then that designers find it hard to resist the allure of bright colors and floral motifs in their own work. Every which way you turn you’ll be confronted with electric hues in flowery blooms. From home goods to fashion pieces – the trend is truly contagious. And for good reason! Who doesn’t want some color in their life after a long and grey winter?! 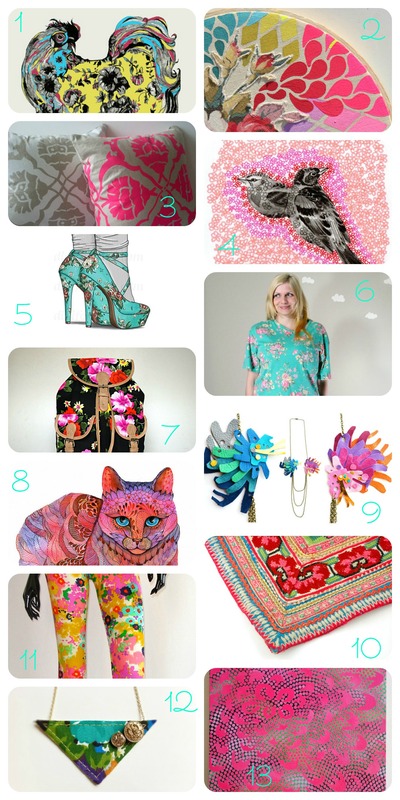 To help inspire you in how to harness the brilliant and happy power of neon florals – I’ve curated the following items from some of my favorite Etsy vendors. Enjoy!